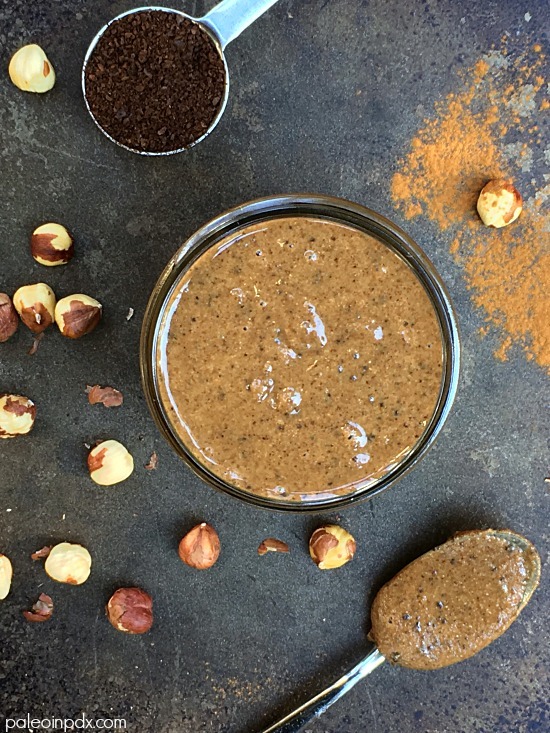 This hazelnut butter variation meets all the criteria (and more) of a great nut butter. It’s creamy, salty, nutty, and a little crunchy. It’s also subtly sweet with added elements of cinnamon, coffee, and vanilla. The coarsely ground coffee is what adds the slight grainy texture and crunch, and it’s magnificent. All in all, it’s a match made in heaven. I think it might be the best nut butter I’ve ever tasted — not even exaggerating. It’s out-of-this-world good! 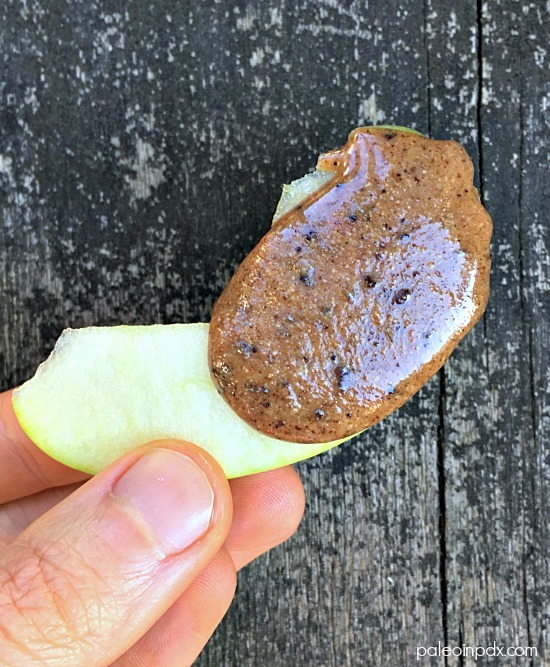 Enjoy it straight off the spoon or spread on apples, pears, bananas, or in my sunny cinnamon sammie recipe (instead of the sunflower seed butter). It’s also delicious drizzled into plain yogurt. Also, note that I used decaf beans in this recipe, but you can use regular as well. I don’t like to consume caffeine after 12-ish p.m. and don’t tend to eat nut butter in the morning, so opted for decaf beans. Use whatever you like. On another note, I’m off to NYC early this morning with my close friend, Heather. We have been looking forward to this trip for months and it’s finally here! We’ve got some fun things in the works, but are leaving plenty of room for trekking and exploring. We’re kicking off our trip this evening with, Sleep No More and I’m super excited…a little scared too! Be sure to follow me on Instagram if you want to see what I’m up to (and eating) in NYC! Preheat oven to 350 degrees F. Spread hazelnuts in a single layer on a baking sheet. Roast hazelnuts in preheated oven for 10-15 minutes or until fragrant and light golden brown. Give pan a shake halfway through roasting time. Once hazelnuts are cool enough to handle, remove some of the skins (doesn’t have to be perfect!). It’s up to you how much you want to remove, but less skin will result in a creamier consistency (the skins can also be bitter). You can also place the hazelnuts on a damp kitchen towel, fold it over, and rub the skins off inside the towel. Next, add hazelnuts (minus the skins) to the food processor. Blend for about 5-6 minutes, scraping down the sides of the bowl with a spatula as needed. Once creamy, add the remaining ingredients and blend until smooth. Taste and adjust flavors as you like. Store in a glass jar at room temperature and use within a week. Will last a week or so longer if you store it in the refrigerator.